Many people seek out personal loans without really understanding the mechanics behind the process. Getting accepted by a lender for a personal loan is determined by several factors, some of which you may not have control over. Lenders will look at a number of components before deciding whether or not to approve someone for a loan including debt to income ratio, credit history, and recent employment status. All these factors are important to note because they will not only affect whether or not you are accepted for the unsecured loan you are requesting, but these elements will also determine the interest rate you pay throughout the course of your loan. One of the biggest influencers is a person's credit score. What exactly is credit score, how does it work, and what constitutes a good credit score? Let's learn everything there is to know about this all-important little number and check out a few of the industry leaders that work with each range of credit scores so you can know who to turn to for the best personal loan no matter where on the credit score spectrum you fall. Your credit score is a combination of past loans received, repayment history, credit card spending habits, and other financial markers. Altogether, these indicators give lenders a rough idea of how responsibly you handle your money. Obviously, the more responsible you are with your money, the better your credit score will be and the more likely you are to receive the loan you are requesting. Obviously, someone with excellent credit will have a much easier time getting approved for a loan and will also receive a more attractive interest rate to work with. And, though it is not impossible to find a lender that will work with someone holding a poor or bad credit rating, it is much harder to come by, and the interest rates you are going to pay will naturally be much higher as a result. 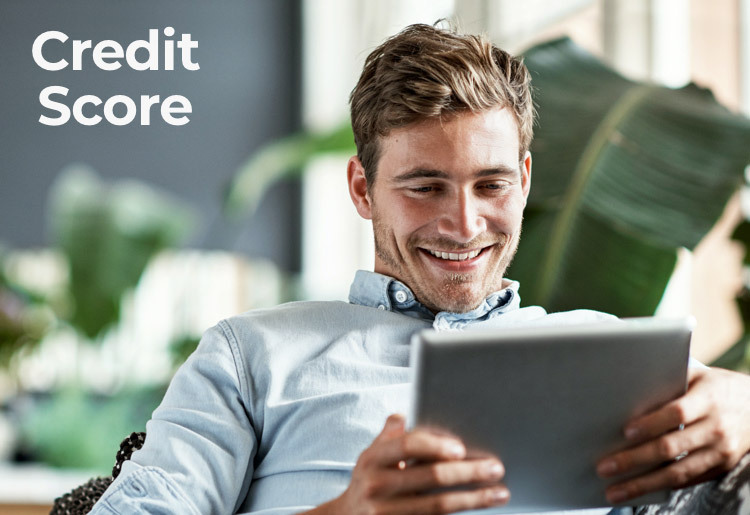 Scores are generally checked by running a soft credit pull. Despite what you may have heard about pulls, soft credit pulls will not affect your credit score at all. Only a hard pull can lower your score temporarily. An interesting concept that most people aren’t aware of is that avoiding debt completely is actually not good for building your credit score. Lenders and financial institutions like to see that you are using the financial system wisely and responsibly. Someone with little credit history will most likely have a lower score than someone who has taken out loans and paid them back responsibly. This is how you will create a good credit rating. One final note, these scores are based on the FICO scoring system. Not every lender will use this system to rank your score, but the vast majority do. For this reason, we’ve used FICO as our scale. A credit score above 720 is considered excellent in the eyes of a lender, and this is naturally what anyone should aim for when starting to build their credit. Such a score is accrued by taking out credit cards and paying bills on time, making smart financial decisions, and not exceeding a healthy debt to income ratio, staying below 35.99% at all times. It isn’t easy to be approved for a loan by SoFi, but if you can, it is one of the top choices anyone with a credit score of 680 or more should consider. SoFi started out primarily as a student loan refinancing institution, attempting to help young workers get a leg up in the competitive world while struggling under the weight of these substantial student loans. Today, SoFi is known for being one of the leading online lenders for all different types of loans including personal loans, mortgages, parent refinancing, and more. Rather than being aloof, cold, and unapproachable like many of the other reputable financial institutions out there (think banks), SoFi has built a reputation for being friendly, understanding, and supportive to its customers. It has structured its lending system around basic social concepts, creating a social network for its borrowers to meet, network, and grow from one another. SoFi regularly hosts social events where clients can mingle, seek out new job opportunities, and learn about smarter financial practices so they can make better decisions in the future. All these factors combine to create a positive, successful, and welcoming atmosphere where borrowers feel like equals and not like they’re second-class citizens because they need a loan. Next, let's look at someone with good or average credit. Bear in mind; this is going to be where most people sit. If you are new to establishing credit or if you weren't as careful as you should have been in the past but didn't make any major financial mistakes, then you probably land in this category. Fortunately, there are still several lenders that will work with you and even offer competitive rates and loan terms for your personal loans. Here are a few of the best options to consider. Upstart is easily one of the fastest growing lending marketplaces in the industry. Working quickly and professionally, Upstart matches up borrowers with the right lenders for their situation and needs. Best of all, Upstart works with borrowers with less than perfect credit. In fact, you can get a loan through Upstart partners with as little as a 640 credit score (and sometimes even lower). Finally, we'll address individuals with fair credit scores. This is obviously going to be the hardest category for someone to find a loan from, but all hope is not lost. There are still several lenders willing to work with these borrowers. Remember that a low credit score doesn’t automatically infer reckless spending habits. A lack of credit activity can also result in a low score. If you fall into this category, consider applying for a personal loan with Avant. For more than 20 years, Eloan has been providing personal loans to all types of customers by way of a straightforward, streamlined process that takes a lot of the headaches out of online lending. If you have good or excellent credit you can take advantage of APRs as low as 5.49%, though if your credit isn’t ideal, you may still be in luck. Eloan looks at your wider financial history and income-to-debt ratio in order to determine what type of rates to give you. When you apply online you should have an answer within an hour, and you will not have to face an origination fee for your loan. Personal loans are an excellent solution if you are looking to consolidate debt from several sources, improve your credit score, have an event or large expense to pay off, or take out a loan without having to worry about collateral or a co-signer. Look towards the right lenders for your credit score, and enjoy the success of approval as you take steps towards healthier financial stability today.